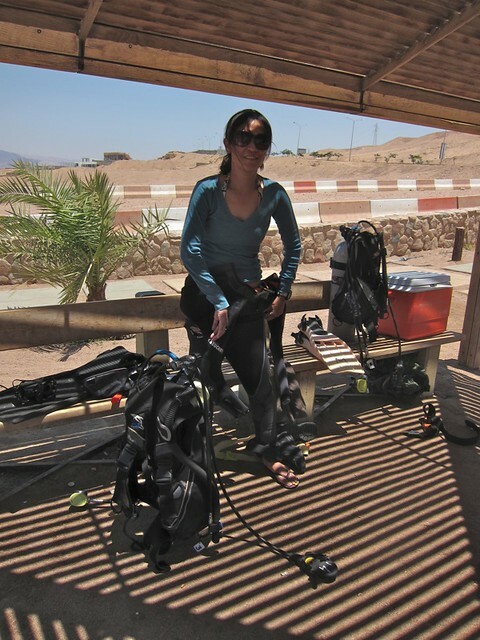 One thing I know I will miss when I began this trip is scuba diving. And so I actually did a lot of diving before I left–taking part in the Philippine Dive Seafari and even joining the SNUPS photo competition, which by the way, I won something, yay. And because it is possible to dive all year round the Philippines, naturally my friends continue to do so, despite my telling them to pause their lives while I’m away, they just wont listen. I then saw a mad rush of rhinopias photos from every diver I know who has a camera. Sometimes they’re even mean enough to tag me in the photos (in facebook). 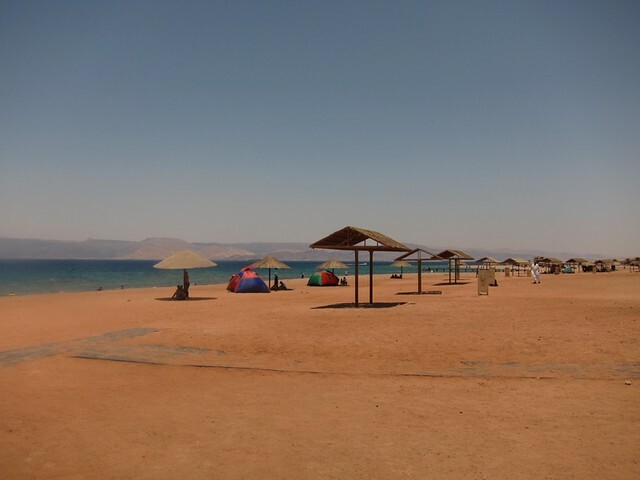 And so, what do you do when you find yourself in the Red Sea? Then I found the Arab Dive Village , a family owned and run dive resort located in the south coast 10 minutes from the beach. They offered me 2 dives inclusive of all gears and accommodation for 54 JOD. And their accommodation is a decent hotel room with a/c, ensuite toilet, tv, fridge, the works. I end up staying and diving for 3 days. 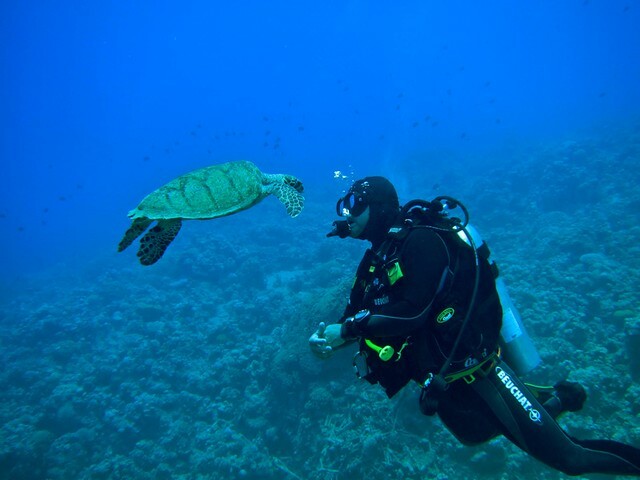 There are 23 dive sites along the 7 km south coast beach. 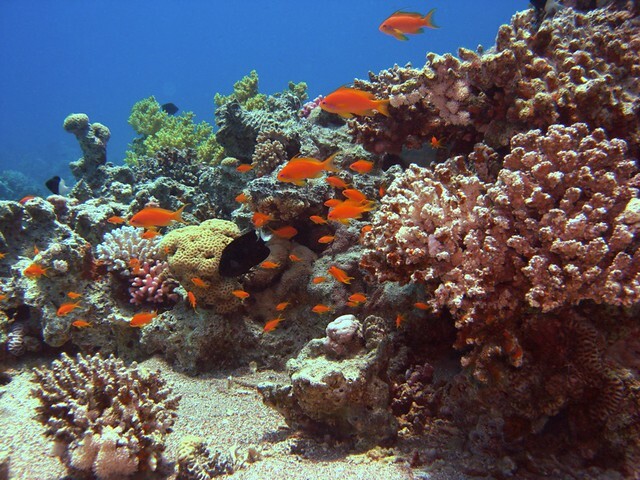 It boasts of an expanse reef and diverse marine life declared as Marine Park in 1997. The conservation effort is quite impressive as can be seen underwater with the protective net to prop the reef. 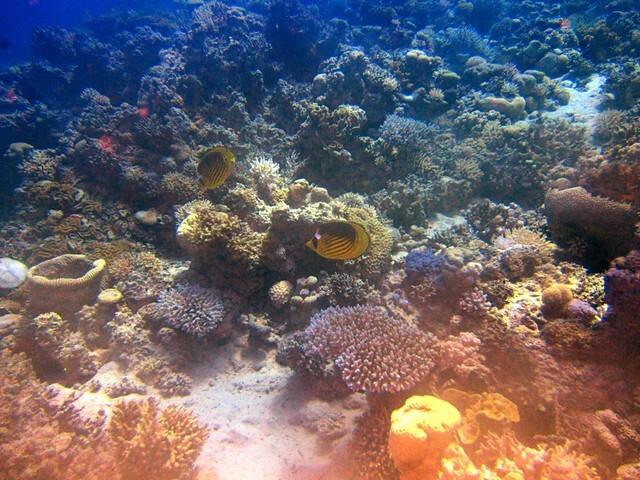 The corals are thriving although I observed some bleaching, that must be result of the fierce heat and shallow water. I also noted that the dive masters and dive shops strictly follow the regulations. 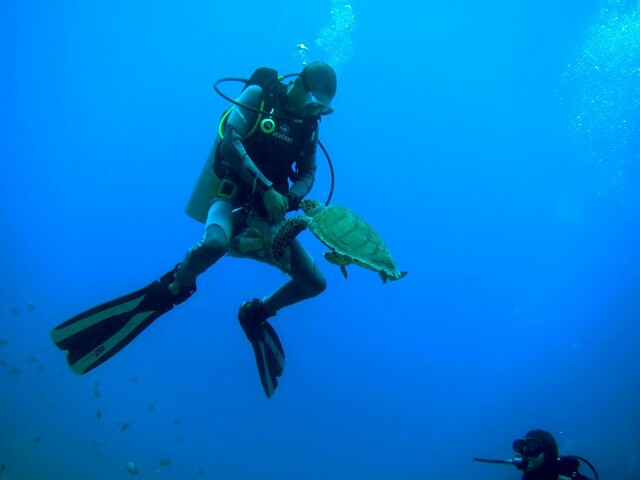 They constantly remind divers on the no-touching policy and checking divers’ buoyancy. These are all shore entry dives and each site would have a specific port of entry from the shore to avoid divers stepping on the reef. 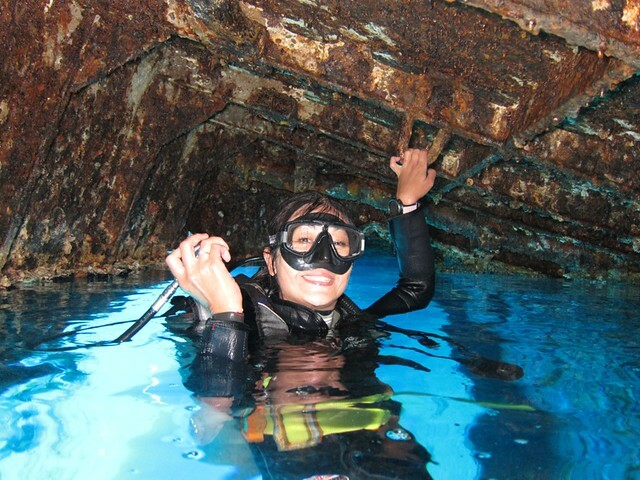 Cedar Pride is probably the most famous dive site. This 74-m cargo vessel caught fire in 1982 and has been destroyed completely but managed to be afloat. Since nobody want to take responsibility of this boat, in 1985 the King of Jordan who is an avid diver himself decided to sunk this ship to be part of the reef where marine could thrive. It now lies about 25-m below. The visibility at this site and depth is not as good as that of the coral gardens. So you don’t see it while you descend and then it appeared suddenly. It is massive! and it stunned me in awe when I saw it for the first time. The dive master thought I panicked and asked if I was ok. I signalled ok and carry on. 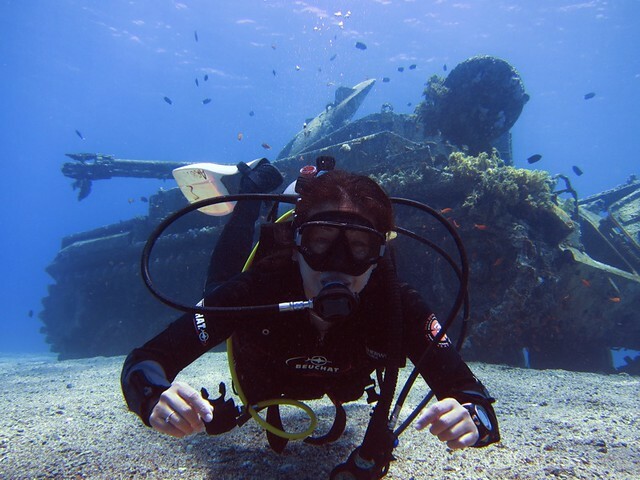 The other sites I dove were the Tank, 7 sisters, Rainbow Reef, and Japanese Garden. They were all close to each other that sometimes we crossed several sites in a single dive, especially on the 2nd day where I had an experienced Italian diver as dive buddy. We were diving for 70 minutes and our DM guide ran out of air, much to his embarrassment. It is interesting to note that while the air temperature was scorching 38 deg Celsius, I had to put on a 5mil suit! The water was icy 23 deg Celsius! Ok, it’s not thaaat cold but with the degree of difference, it’s enough to make one freeze to death! And most probably the reason why my camera kept on fogging! On the 3nd day, water actually came into my housing, 10 minutes into diving. Thanks to Leak Insure, a gift from my friend Jovic while in Manila, my camera came out unscathed after 50 minutes of dive! This miraculous tiny packet of gel absorbed all the water that went into the casing. So when I got to London, I ordered a whole pack of 20! If I’m lugging my underwater casing and mask on this trip, I better make sure I will use it. Side Note: The water in the Philippines, the only country I’ve ever dived in before Jordan, is only 1-2 degrees lower than that of the air. And the whole year round water temp ranges from 26-29 degrees Celsius. The visibility is great! Marine life is not as exciting although there was an interesting encounter with a baby turtle. There’s a huge huge platform of soft and hard corals that stretch on forever in all direction! This is the part where the conservation effort is amazing. The reefs are alive and thriving. I think because of the shallow water and intense heat, there are some coral bleaching taking place, the colors are very pastel and I cannot seem to take a good picture. Pictures are either over exposed or too dark. There’s no current at all so it’s very easy diving. 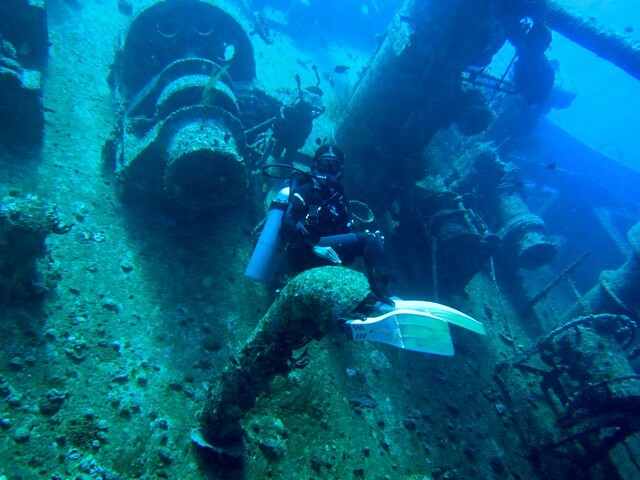 The wrecks are a bit more exciting. I’m happy to dive the Cedar pride. And I’ve met some really really nice people. So it was worth it for me, but I will not suggest you to fly over for the diving. Philippine Passport holder requires visa to enter the Kingdom of Jordan. For detailed information on how to apply for Jordanian Visa in the Philippines. Please follow the link. We’ve been toying with the idea of learning how to dive for the longest time but couldn’t muster enough courage to actually do it haha. This post is really encouraging us though. so happy you’re following your dreams! ang galing. 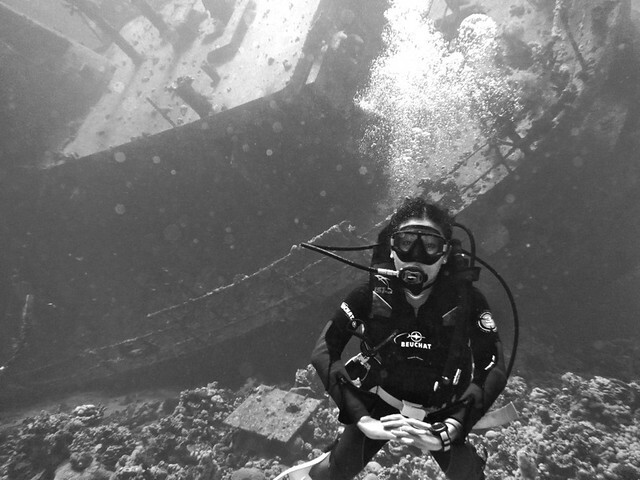 historic ang red sea in SCUBA history so diving it makes you a part of history.